Dr. Maia Aspé with her gelding Jawad. Submitted photo. For 15 years of her life, Dr. Maia Aspé has ridden horses. Six of those years were spent chasing a career as a professional hunter-jumper before she found her calling in equine veterinary medicine. 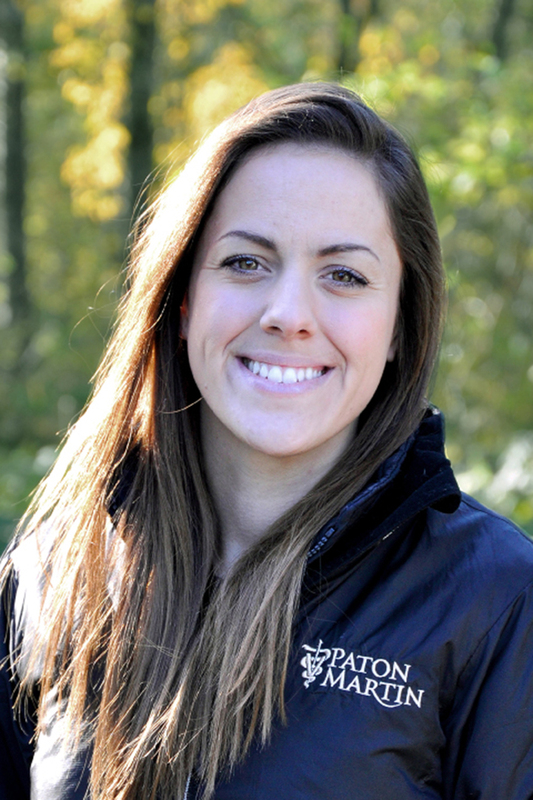 Dr. Maia Aspé completed a one-year internship in Paton and Martin Veterinary Services this spring. Submitted photo. Those days of competition might be behind Aspé, but the skills, camaraderie and knowledge she picked up along the way continue to enrich her life even as she’s begun full-time veterinary work with Meadow Lane Equine Clinic in Cloverdale, B.C. “Sometimes when people don’t have a background in the competitive world, it’s a little bit harder for them to see the horse as an athlete as opposed to how a companion animal might be viewed,” Aspé says. 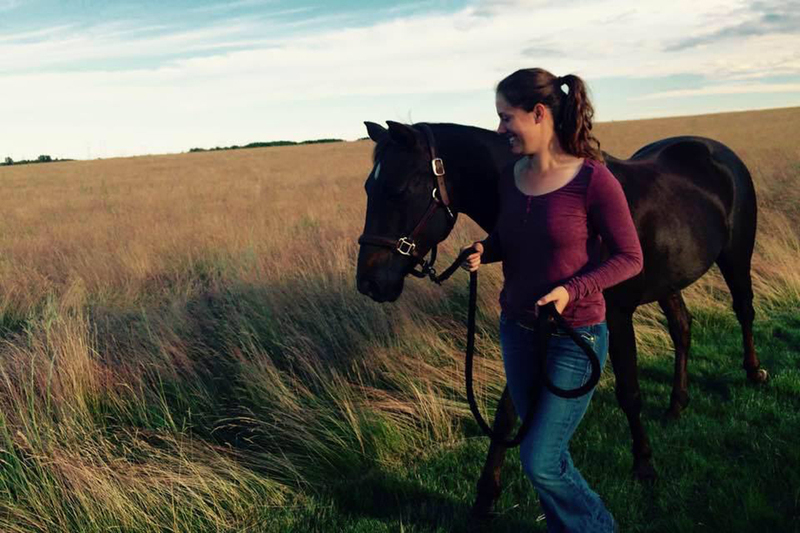 Aspé, who graduated from the Western College of Veterinary Medicine (WCVM) in 2017, can trace her interest in equine medicine directly back to her experience riding horses competitively. In a sport where issues such as colic, lameness and wounds can crop up at any moment, she said it was only natural to familiarize herself with the efforts that went into getting these great, injured athletes back into a healthy state. It wasn’t long before Aspé was enrolled in the WCVM’s veterinary program at the University of Saskatchewan, where she says she received an education as good or better than any other she’s encountered. Aspé cites the college’s student-run Equine Club and the WCVM Veterinary Medical Centre’s Equine Field Service — which brings in third- and fourth-year students to learn medical techniques firsthand through on-farm calls — as vital components in shaping her into the veterinarian she is today. In particular she describes the WCVM Equine Field Service’s clinical team as a wealth of supportive, informative expertise to which she extends immense gratitude. Today Aspé has settled into a new life on Canada’s West Coast. The decision to return to B.C. was made partly to live closer to her family but also because of a fortuitous opportunity to complete a one-year clinical internship working with the veterinarians at Paton and Martin Veterinary Services in Aldergrove, B.C. — the very same veterinarians who once looked after her own horses. HenryTye Glazebrook is a freelance writer based in Vancouver, B.C.